As an energy therapist I always appreciate the energetic blueprint of an experience. How did I ever get on without experiencing the energy of the Green Tara? Let’s see if we can share the essence of its meaning. Green Tara is in essence the divine feminine embodiment – Goddess – of compassion and unconditional Love. She is known as a boddhisattva, one who has attained enlightenment, and has chosen to stay in physical in order to assist and guide all towards enlightenment. The ultimate goal is to end suffering. OM represents the sacred primordial sound, which evolved into the creation of all life forms. It regards all that is as sacred. TUTTARE means liberating from the 8 fears, the external dangers, but mainly from the internal dangers, the delusions, and also karma. TURE means liberating from the ignorance of the absolute nature of the ego. It shows the true cessation of suffering. All who embrace the divine feminine carry this consciousness within. 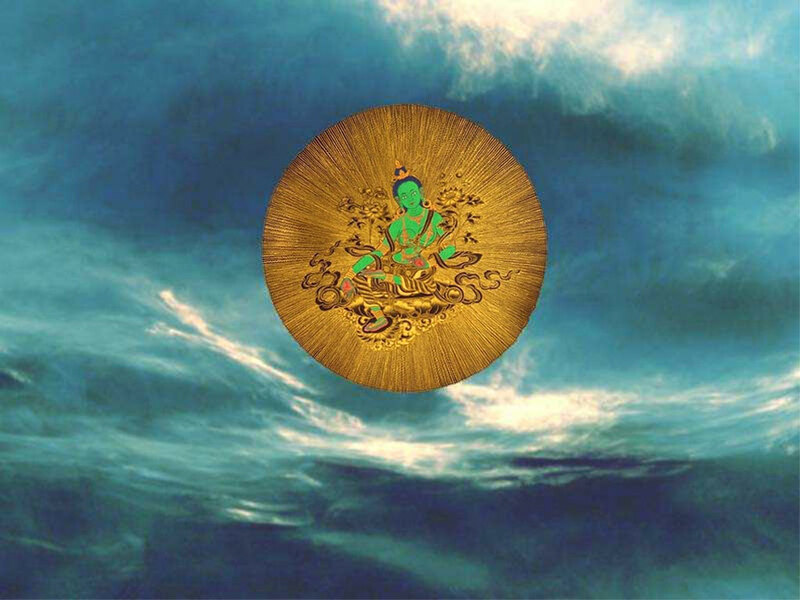 Chanting the Green Tara Mantra activates this consciousness. Today I am triggered by witnessing heartbreak all around me. The heartbreak of the lover who loses his or her partner. The heartbreak of mothers and fathers around me whose children suffer through illness. And the parents whose children passed on. The heartbreak of sons and daughters around me, whose mother or father suffered through illness and have now passed on. The heartbreak of siblings, whose brother or sister passed suddenly. The mother whose child passed on before it left her womb. And the parents who are told the fetus in the womb is not viable, who choose to carry the child to term anyway, and give birth to it, only to watch it pass on a few precious days later. The heartbreak of the twin brother who grew alongside his sister who passed inside the womb, and whose little body stopped growing. The ones who went and had an abortion for whatever reason, still holding on to this child that could have been. I find myself feeling and weeping right along with them. As someone who has experienced her share of heartbreak, it taught me resilience. Compassion is at the root of this resilience. I am sharing this for you. You who were triggered by the energy within the words that sent you here. You are just another myself. On the edge of heartbreak. Maybe you have lived on this edge for just a few days, or maybe for a very long time. Whether you experience fear of heartbreak, or actual heartbreak, I encourage you to just let it rip. Surrender. Open the floodgates. You can try and fight it, and when you do, as I have tried so many times too, you may find yourself cut off. Isolated. Alone. If you choose this experience, it may work for you too for a while. It may serve to just have this experience. And it is up to you to decide how long this experience serves you. When you come to the realization that you’ve had enough, all you need to do is to allow the heart to break. Again? You say. Yes, again. All – The – Way. This time around. What happens when the floodgates open? Fear of drowning, anyone? It doesn’t matter. Without holding back, open the floodgates. The water (emotional) level rises. Notice how you can either swim against the current, or surrender and ride the waves. Let your breath support you. Dive into these feelings deeply. Allow and accept them without judgment. Welcome each one of your emotions like precious children, no matter how unpopular they may be. They come from intelligence. Trust them. Inhale through your nose and send your breath wherever in your body you are holding tension. Hold this breath within you as you immerse yourself completely. Notice how when you remove the judgment, there no longer is a heaviness to any of these emotions. Come up for air, exhale through the mouth and relax. Feel the emptiness as you make room to take another breath to feel the expanse of the universe within you. Take three rounds of circular breath like this, and breathe normally. A broken heart is an open heart. It bleeds from the infinite current of Love. Love in its true essence, is unconditional. You are not alone. I am with you. And along with me all who are riding the waves. We are free to experience it all. At its very core the heart is always whole, and the only thing that actually breaks, is the armor. As carefully as it has been constructed, it only blocks the capacity to give and receive Love. No one, I assure you, can take away this legacy of Love we experience with the ones we choose for this purpose. In life, in passing, and beyond. 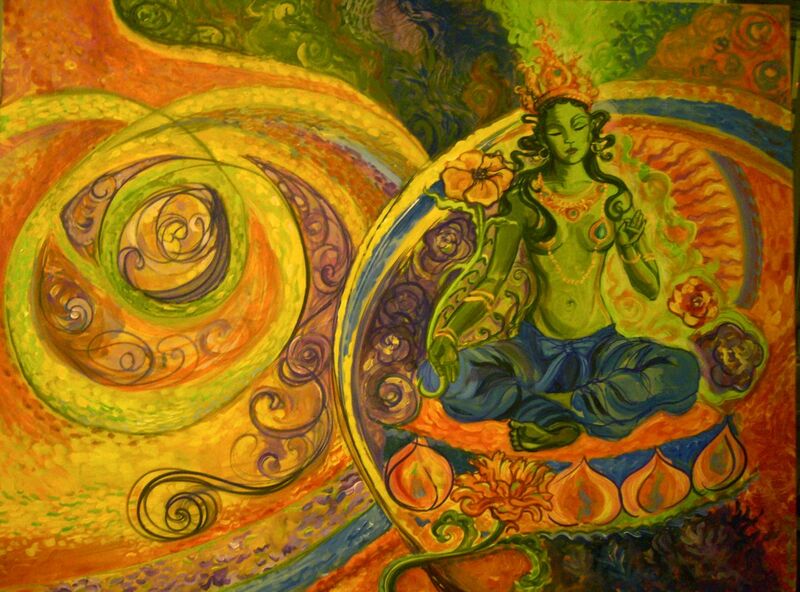 Channeled from the essence of the Green Tara.